Check out Tobi's Carolina Lace Skater Dress Get ready for your next lunch date in the Carolina Lace Skater Dress! 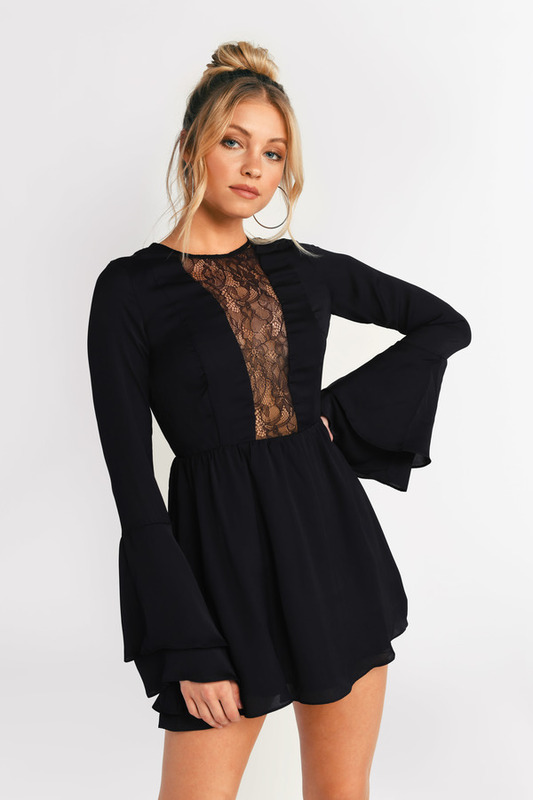 Featuring a center lace insert with a fitted waist, the highlight of this Black dress has to be the gorgeous tiered bell sleeves that add an extra touch of elegance. Get ready for your next lunch date in the Carolina Lace Skater Dress! 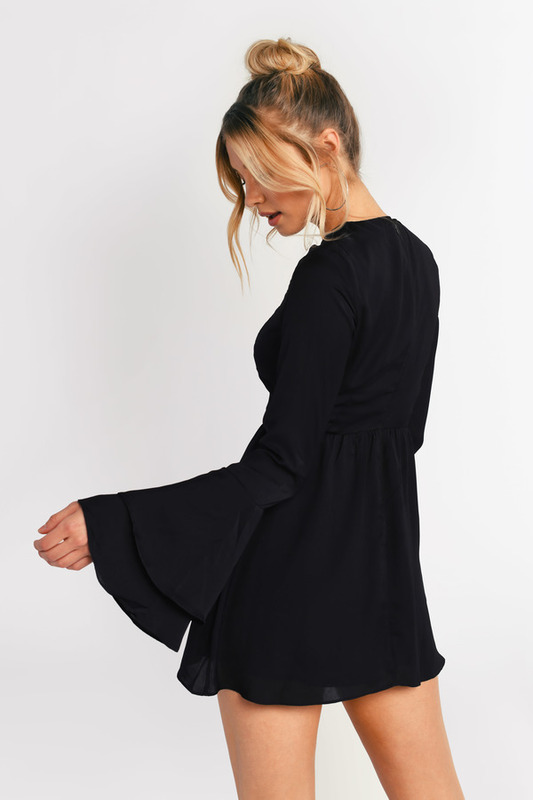 Featuring a center lace insert with a fitted waist, the highlight of this Black dress has to be the gorgeous tiered bell sleeves that add an extra touch of elegance. Get ready for your next lunch date in the Carolina Lace Skater Dress! Featuring a center lace insert with a fitted waist, the highlight of this Rose dress has to be the gorgeous tiered bell sleeves that add an extra touch of elegance. Rose modeled on a size X-Small.